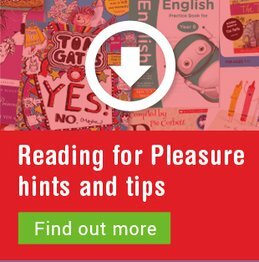 "Ensure that pupils have access to good quality materials … textbooks, readers and library books that they can use in classrooms and at home." We've partnered with the Institute of Education, University College London in creating a comprehensive Reading Charter, to help celebrate and support reading's place in schools and our collective role in promoting it. Put reading at the heart of your school and sign up to the charter - we've included lots of tips and ideas about how to foster a love of reading and excitement about books in your libraries and classrooms and we'd love you to share your stories of reading success with us. Why not get started right now by downloading a Reading Charter poster and Reading School logo to print out and display in school? 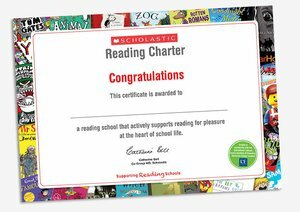 Sign up to the Reading Charter and receive a certificate to display in your library.